1. 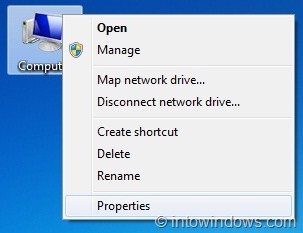 Open System Properties by right-clicking on Computer icon and then selecting Properties option. You can also launch System Properties by pressing Windows + Pause/Break hotkey. 2. 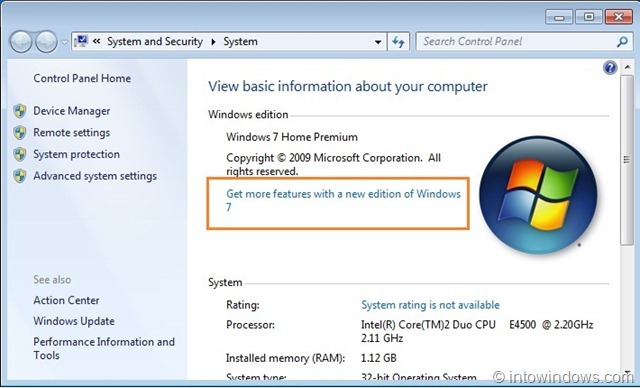 In the System Properties, click on the option named Get more features with a new edition of Windows 7to launch Windows Anytime Upgrade wizard. The first option displays the upgrade price for Professional and Ultimate editions with their features. You can also purchase the upgrade license here. 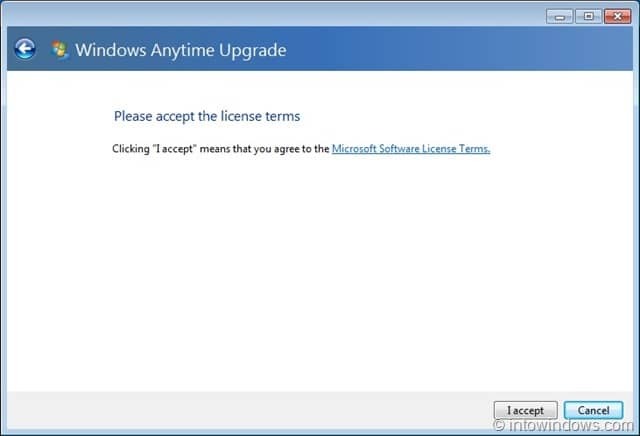 Use the second option if you own an upgrade license for Professional or Ultimate edition. 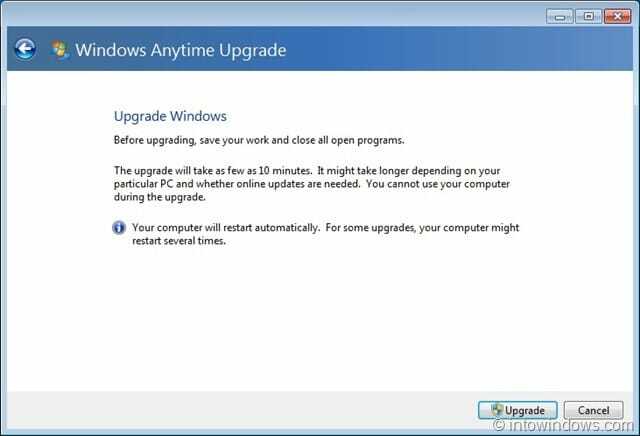 In this guide, we choose the second option (Enter an upgrade key) as we have an upgrade key for Windows 7 Professional edition. If you have Ultimate edition upgrade license, simply enter the key to upgrade to Ultimate edition. 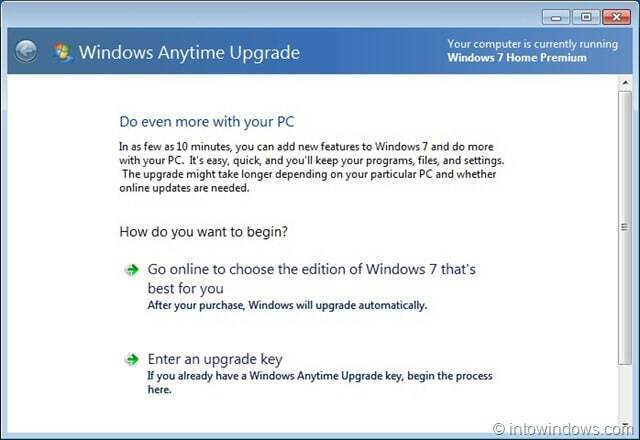 Please note that Windows Anytime Upgrade key is different from product key. 4. 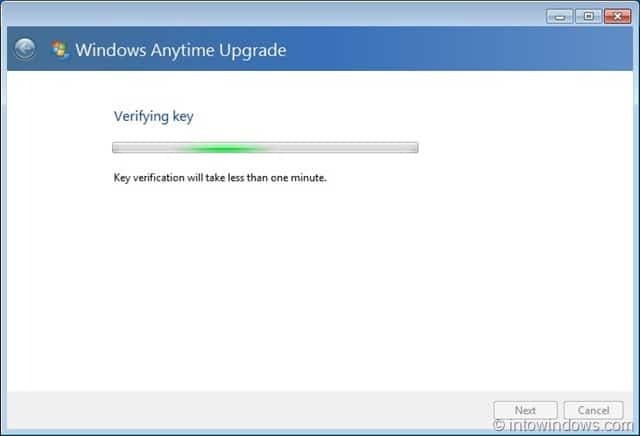 Click Next button to allow Windows Anytime Upgrade to verify the entered key. Verification should be done within a few seconds. 5. If the key is genuine, you will be asked to accept the license agreement. Click on I accept button and then Upgrade button to continue. If you have any running applications you will be asked to save your work and close all running programs. 6. 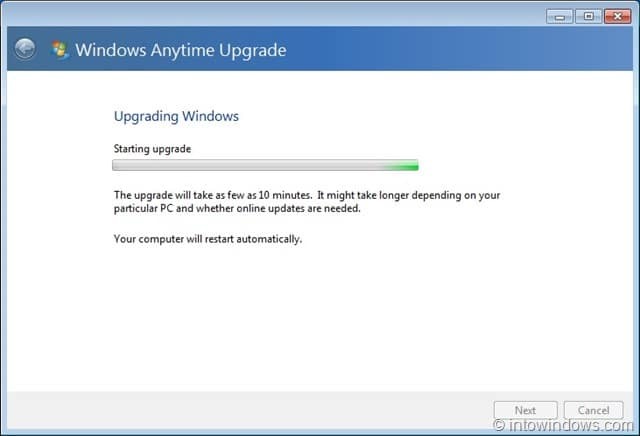 Wait for a while and let the Windows complete the upgrade process. You are done! 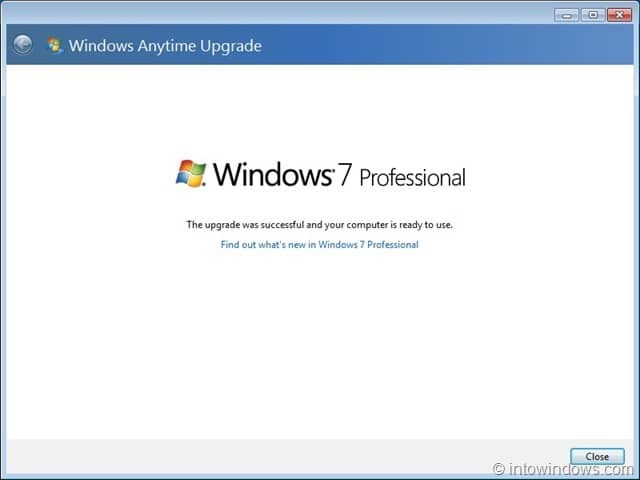 You have just upgraded Windows 7 Home Premium edition to Professional.